Do you need a trademark for an Amazon private label product? We’re covering all of this today in our seventh episode of the Million Dollar Case Study. Watch the video, keep reading and don’t forget to download your FREE MDCS Workbook at the end of this blog post! I’m excited because today we’re going to be talking about one of my favorite topics – creating a solid brand! This includes ensuring your product has no trademark violations. For this episode, I interviewed Suzi Hixon, a trademark attorney who was very helpful in explaining the often confusing and complex world of trademarks. Please note: I’m not an attorney and Jungle Scout isn’t licensed to give you official legal advice. Everything that follows is based on our experience as Amazon sellers and consulting with trademark experts. Begin with the end in mind. Amazon is just the launching platform to start and sell your brand – you need to look at the big, long-term picture! Keep this name generic so you can add products in different niches over time. This is the fun part. You’ll want to choose a strong and viable name, a name that you can potentially trademark down the road. There are some great benefits to trademarking your brand. We’ll cover that this episode, but first – let’s get creative! What is a trademark? A trademark can be a symbol or word that represents a product or company. Typically if an object is Trademarked you will see the (™) or the (®) symbol preceding the mark. However, there is a slight difference between the two symbols, the (™) symbol indicates the assertion that the word, image, or other sign is a trademark; it does not indicate registration. Registered trademarks, on the other hand, use the (®) symbol. 💡PRO TIP: You can begin to use the (™) symbol right away. As an Amazon seller, is it required for you to file a trademark? The short answer, no. Registering for a trademark is more of a nice-to-have than a necessity. That said, at a minimum, you will want to conduct some basic trademark research of your own to ensure that you’re not infringing on someone else’s trademark. 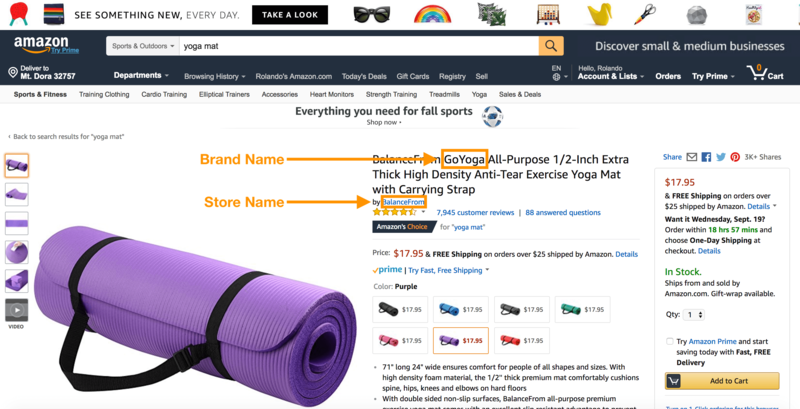 Why are trademarks important for Amazon sellers? The good news is that if you are just starting out, this is something you can do later on down the line once the sales are flooding in. 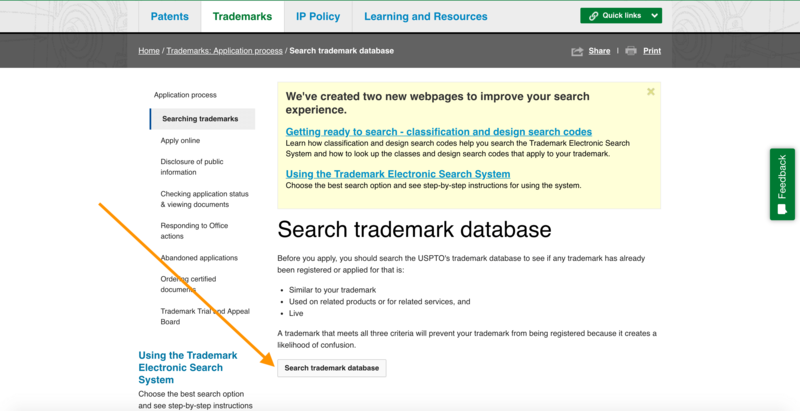 How do you check to see if trademarks exist? 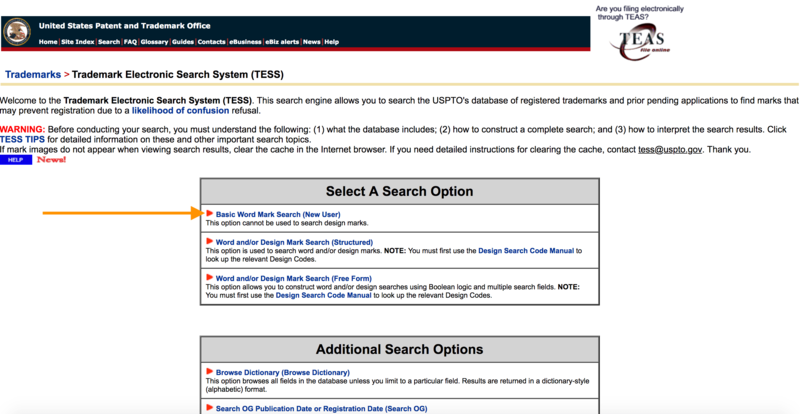 Start your search at www.USPTO.gov. This isn’t the most user-friendly site, however, this is where all US trademarks and patents are registered. 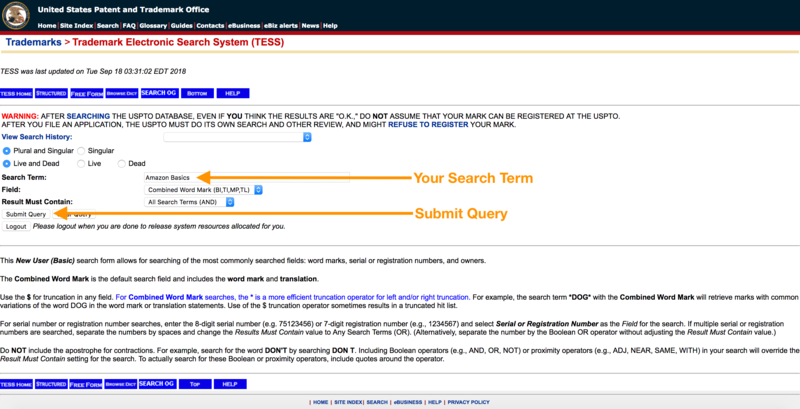 Begin by selecting “Search trademark database” as pictured below. Next, select “Basic Word Mark Search (New User)”. Leave the default settings and enter your brand name in the “Search Term” field. Lastly, select “Submit Query” and bada bing bada boom, any query matches will populate on the next page (fingers crossed, no matches). Aside from checking for trademarks, I would also recommend that you purchase the .com domain. If it’s not available then that’s a strong indication that someone has plans for that name and you may just want to stay away. You can use any number of sites to purchase your domain, I’ve just always used www.godaddy.com. It’s important to ensure you have all of the right information on your packaging so your inventory does not get stopped at customs when you import it, or by Amazon when they receive it in their warehouse. Unfortunately, there is no good centralized resource for packaging requirements. Probably because they can vary depending on the type of product and country of sale. Amazon does have several packaging requirements in order to store your goods at one of its fulfillment centers. Much of this is for proper inventory tracking and to ensure your products are safe from any possible damage incurred during shipping and handling. GTIN (UPC or EAN) – for the rest of the retail world, something called a GTIN is required. This is a Global Trade Identification Number. As an Amazon seller, you need to get a GTIN (UPC or EAN) in order to get an FNSKU for your product. Should I hire a professional for Amazon packaging or DIY? When it comes to design work it really boils down to your comfort level. There are several tools out there to help you create your branding and one that I like in particular is Canva. Give them a try if you feel you want to go the DIY route. Jungle Market – Makes it easy for Amazon business owners and freelancers to connect, collaborate, and get work done fast and affordable. Fiverr – Another place to find freelancers to do design work for you. 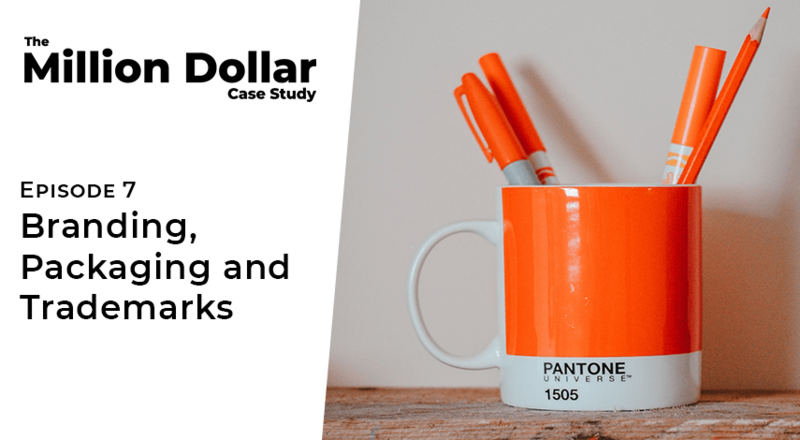 Upwork – This would be the next most cost-effective option, there’s a variety of freelancers on this marketplace, the more experienced and talented of which you would likely pay more of a premium for. 99designs – More of a high-end option, you submit a brief and lots of designers will complete the work and the one that you like the best gets the payment (starting at around $300). Well, that’s all for this week. In next weeks blog post I will be sharing everything there is to know about shipping your products from the manufacturer to Amazon’s warehouse. Keep crushing it! Copyright things was the coolest in this article, Branex blog suggested to trademark but they didn’t really tell how. But you told and answered every question i had in my mind. I went to gs1 & received my codes. Now what? How do I get the UPC GTIN number? The website is confusing. Not sure what to pick. Don’t they have to make me a special number for amazon or is it just the company number & I don’t even use the 10 codes? How about Jungle Monkey Clamp on Keyboard or variation. I’m a member of GS1 in the UK. I’m not sure if it works the same in the US but in the UK you pay yearly subscription for a certain amount of numbers. If you use them all up and need to buy more you need to buy another subscription for the next level, but you still pay for the first one as well. Just a suggestion that it might be worth buying a larger amount from the outset if you think you might ever use them. As I said, not sure if it’s the same. Hi guys, really great video. I was just wondering, the barcode generated by Amazon is in PDF format, is this usually OK for a supplier to use? Thanks for the video explanation. Still a little advanced for me as a novice but worth the time to watch and follow the steps. Great stuff guys! In a prev job, I managed the process of designing and printing of packaging for a retail product. You did a great job of taking what can be a complex process and condensed it down to easy to understand instructions for newbies. Do you need to have your brand registered to run sponsored products or advertising? Thanks, Dave. I’m actively listing products, however the Advertising tab only shows “early reviewer program” drop down and asks me to apply for the program. I’m thinking my seller account isn’t setup correctly. Hey guys — can you address the issue of the GTIN exemption? I thought you could ask amazon to grant an exemption from the UPC/EAN requirement if you have a private label product. Maybe walk us through the proces?? Gregorio Esq. rockin’ the suit! Great video!! I saw somewhere you have 200000 subscribers. Gregorio Esq. rockin’ the suit! Great video!